Digitisation is a complex process with many aspects that need to be managed in order to produce the best quality final images. This is especially true when digitising very old and fragile archive materials, as our scanning technicians do every day. What’s more, there are a number of additional media-specific challenges that arise when digitising particular types of archival content; from reels of microfilm to large format maps. Checking the collection and preparing it for the scanning process is absolutely vital to ensure the items do not suffer any damage during the digitisation. National Archives guidelines recommend assessing materials for general fragility, signs of mould, and other signs of damage, as part of preparation to make sure the materials are stable enough to undergo the digitisation. The photographs should also be checked for any dirt which may affect/obscure the digitised images, and should be appropriately cleaned beforehand if any is found. Photographs will generally require a greater resolution than text based volumes like journals or diaries, although this is dependant to a degree on the purpose of the digitisation project. In line with Minerva Europe and JISC digitisation guidelines, we always recommend digitising photographic collections to an uncompressed, high resolution Master TIFF format in the first instance. The pixels per inch (PPI) will vary according to the size of the original material and the target final size. We recommend, however, that the captured image at the final size (i.e. 10” x 8”) is not less than 300ppi. Many different derivatives or “digital surrogates” can then be produced from this master TIFF file, to fulfil different purposes. Such as reprinting photographs directly from the Master TIFF or producing lower resolution compressed JPEG files for display on the web. 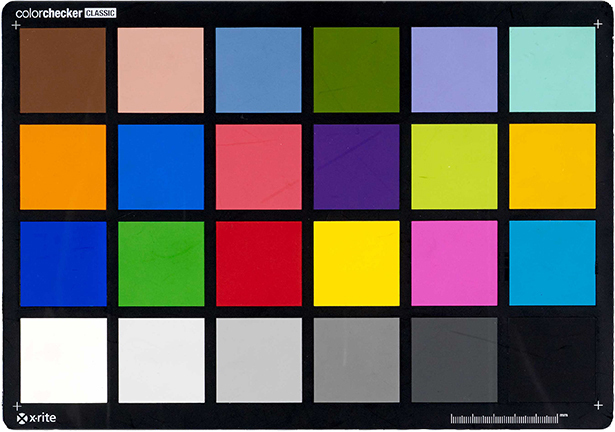 If digitising colour photographs, and maintaining colour integrity is important to the project, a colour key (pictured) should be used for calibrating your image capture device using several test images at the beginning of each batch. This will help ensure colours are captured in their truest form. Grouping together photographs of similar sizes will help minimise recalibrating of equipment during scanning and maximise the efficiency of the digitisation workflow. As with any fragile archival materials, it’s vital to take great care when handling photographic collections, both when preparing them for digitisation and during the actual scanning process itself. To mitigate potential damage, photographs should be handled delicately and by the edges only. In addition, in accordance with The National Archives Policy, we recommend wearing unpowdered nitrile/latex protective gloves when handling photographs, to prevent acidic oils from hands potentially causing damage to the items. Finally, and possibly most importantly, is assessing your capabilities to carry out the digitisation of your photograph collection in-house beforehand. The cost of purchasing appropriate equipment to scan your collections to sufficient quality, without harming them, can be significant. In addition, even if your organisation does possess suitable equipment to undertake the digitisation, often the quality of the images may not match that of an external provider and the throughput rate may be significantly reduced compared to outsourcing (due to in-house staff having time limitations or potentially being less well-trained or experienced). Just click to find out more about digitising photographs and the specialist digitisation services that we offer. Or if you are planning a project and would like to speak with one of our digitisation consultants (free of charge) just call us on 01536 713834 or email [email protected]. Check back here soon to read more “How to digitise…” posts, which will offer best practice tips on digitising other types of photographic collections, including photograph albums, microfilm and more. Follow us on Twitter to find out as soon as these are posted. 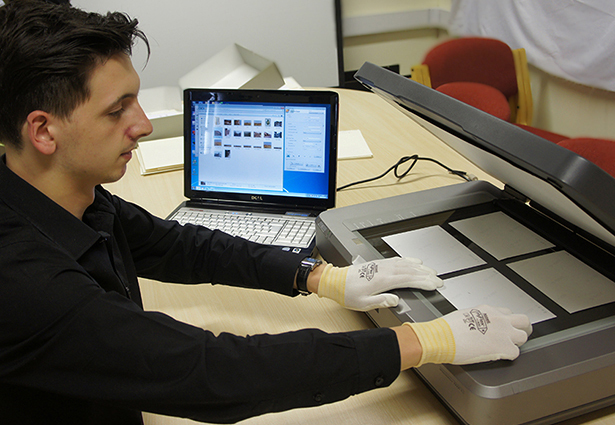 Are you looking to digitise your photograph collection?